The Minister of Power, Works and Housing, Babatunde Fashola, Tuesday, inaugurated the reconstituted Estate Surveyors and Valuers Registration Board of Nigeria (ESVARBON) with a charge on the Board to reconcile the disparity between the country’s land evaluation system and the current economic realities. 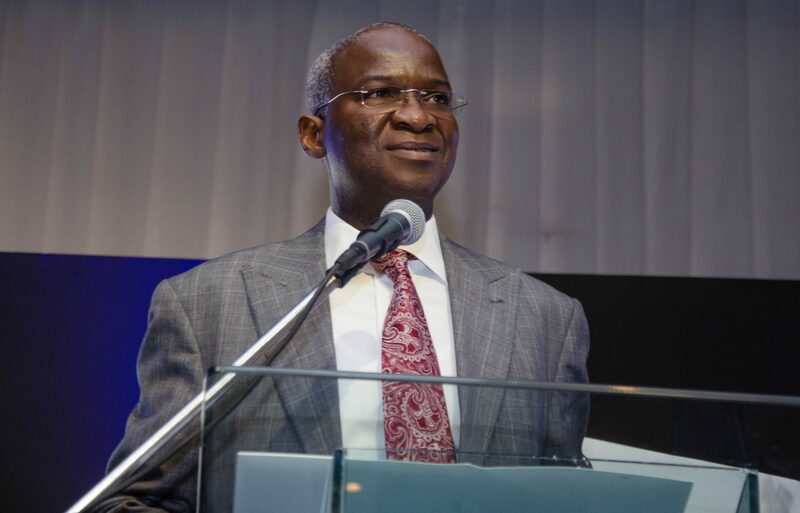 In his remarks before the brief ceremony at the ministry’s headquarters in Abuja, Mr. Fashola also urged the professionals to develop an open evaluation for the different parts of the country as well as evolve means of making the practice of estate valuation simple enough and responsive to the man on the street. Noting that because of the global economic slowdown property owners in some other jurisdictions were offering discounts on their properties to ensure optimum occupancy, the minister wondered why the reverse was currently the case in the country where, according to him, the economy was being greatly challenged by tight capital. He told his guests, “For me, I think the most important lessons that I like to share at this inauguration is to pose the question to you whether the current land evaluation system and values are consistent with the realities of our economy. You, as experts, must answer that question”. “In a very challenging economy where cash is clearly tight, is the market value really responding appropriately? Are these values consistent with reality? Why are we not seeing rates and rents and values drop? Why are we having many houses unoccupied where people are looking for accommodation?” Mr. Fashola further asked. The minister, who noted that property owners in the country had often argued that the properties were valued higher so they could have an “impact on percentages and commissions”, added, “As we reconstitute the new board and as we work together to rebuild our economy, those are the questions that I would like to leave you with to respond to”. Recalling recent news that property sellers in the United Kingdom were, because of BREXIT, offering discounts to citizens, Mr. Fashola, who cited as proof that markets react to policies, added, “Many years ago, our Stock Market was immune to policies. But you see today that we have a stock exchange that ranks with some of the best in the world because it reflects the realities of our economy in many respects”. “So, I will like to see, therefore, that as you take up the mantle of leadership today after inauguration, these are issues that I think you should put into the front burner agenda in terms of how you regulate the practice and also the quality of people that you admit to the practice,” the minister said expressing regrets that in real estate transactions in the country the customer was clearly not king even with his money. Emphasising the importance of Estate Surveyors and Valuers in the economic growth of the country, Mr. Fashola declared, “These are people whose core professional mandate is really putting value on land. The main business that they undertake is the business of how land is turned from a dormant asset really into a valuable asset”. He continued, “The Ministry of Power Works and Housing employs a number of Estate Valuers for many reasons, as you all know. Whether you are building new roads where we need to acquire Right-of-Way, sometimes compensations have to be paid for farmlands and all of that, you are the people we turn to for evaluation”, adding that some of the members were currently involved in the Second Niger Bridge project as valuers for the government. Some of the members, the minister said, have also been recruited to the power side now in the development of the Mambila Hydro Power Dam in terms of assessing the land needed and ultimately quantifying for compensation to be paid; while some were employed in the new Transmission Company of Nigeria (TCN) where the ministry had to acquire Right-of-Way for its transmission lines. Charging the board to ensure greater transparency in the building industry, Mr. Fashola further charged the members to evolve means to make the practice of estate valuation simple enough and responsive to the man on the street; pointing out that other jurisdictions have evolved property calculators where all one needed to do was to index one’s location and that of his property to have a fair value of what his asset was worth. The minister said one of the areas where Nigeria’s Ease of Doing Business ranking could improve was in the area of real estate valuation, “especially how to develop a harmonised code of charges” adding, “We had this problem back at state level where we found out that we were charging about 10 per cent gross on fees and taxes while other countries close to us were charging one and two per cent. But the truth was that the values were not real”. “They were not market values and the solution was to invoke market values so that within its jurisdiction you have a fair market value of what the rate applicable to each piece of real estate, whether it was developed or undeveloped, there was a floor and a ceiling per square metre and on that basis, we crashed the rate to about three per cent”, he said. Congratulating the chairman and members of the reconstituted board, Mr. Fashola who noted with pleasure the broad mix of experience and value that were brought to the board, declared, “This board has, among many other responsibilities, the responsibility for registering persons who are fit and qualified to serve and practice as estate surveyors and valuers and also the responsibility to regulate the standard and the knowledge and the general practice of the profession in our country”. “These are the people whose core professional mandate is really putting value on land. The main business that they undertake is the business of how land is turned from a dormant asset really into a valuable asset and then all of those who are involved in one form of enterprise or the other must first of all appreciate the value of land as the major capital formation asset,” he said. In his remarks, the Chairman of the of the Board, Olayinka Sonaike, thanked the minister and the federal government for the opportunity and privilege given the members to serve on the board, adding that the members of the profession were in a fit position to contribute to the economic growth of the country. Requesting that the budgetary allocation to the board be released to it expeditiously after the signing of the 2017 Appropriation Bill, the chairman pledged that with the collaboration of the Ministry of Power, Works and Housing, the board would carry out its job effectively. He said the Institute of Estate Surveyors and Valuers of Nigeria had already completed a database of properties in Lagos State with the intention to work in other states of the federation promising that the board would continue to work toward reconciling the disparity between land evaluation system in the country and her economic realities. Also at the brief ceremony were the Director for Land and Housing Development, Olurotimi Onabanjo, and Director Information, Adebisi Agbonhin, special advisers as well as other top officials of the ministry; while the chairman of the newly inaugurated board was accompanied by the vice chairman of the board as well as other top officers and members of the board.